Every two years, Tourism Richmond conducts a Visitor Volume Survey (VVS) to determine the overall visitor volume and expenditure estimates as well gain valuable insights into visitor and trip characteristics. This year, we added specific survey questions to ask Richmond residents. Done in-person during the shoulder and high summer seasons at hotels, attractions, shopping areas in both Steveston and Richmond city centre, we were able to capture visitor and resident data. The resulting information from our 2017 VVS will be analyzed and shared with you in the new year. Some good news to share, though! 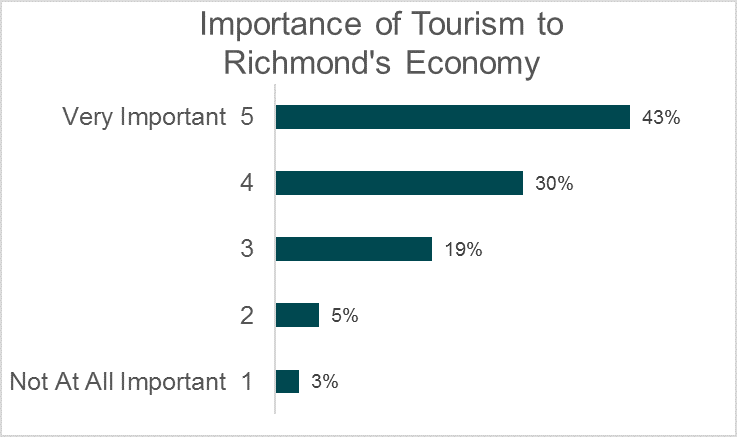 Preliminary analysis of resident data has shown that 73 per cent of Richmond residents feel that tourism is important to Richmond’s economy. We’re excited to share the results of our 2017 VVS with you. Keep a look out for updates in our upcoming newsletters.